A worker removes chairs from the closed Mitchell's Fish Market Wednesday. 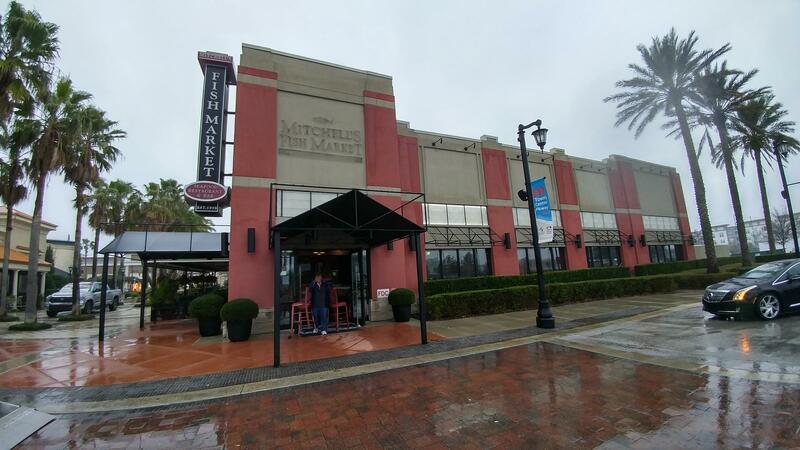 Mitchell's Fish Market at the St. Johns Town Center has closed. Workers were out removing furniture at the Mitchell's Fish Market Wednesday morning. 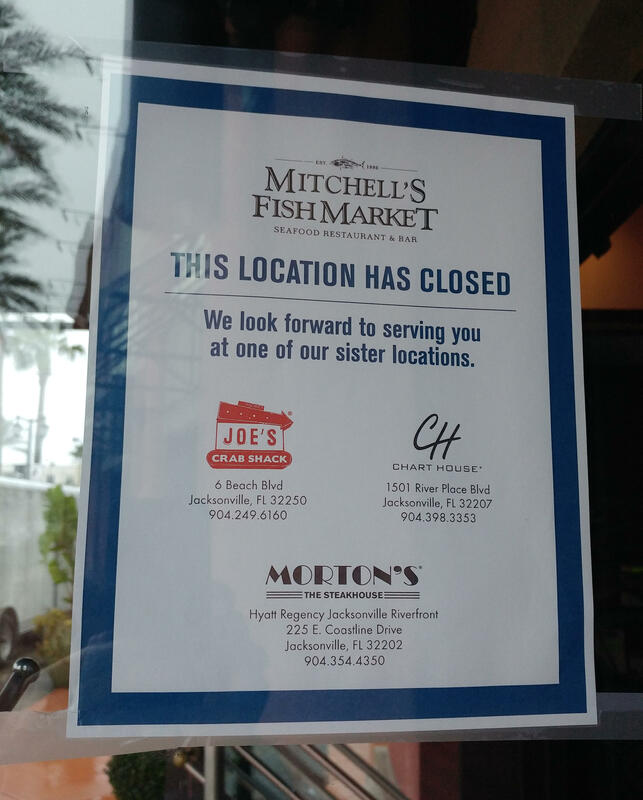 A sign alerts customers that Mitchell's Fish Market has closed. A sign was posted on the door announcing the closure. WJCT News has reached out to Landry’s, which is the corporate parent of the shuttered restaurant, but hasn’t received any comment at the time of this posting. Landry’s also operates several other Jacksonville area restaurants, including Morton’s Steakhouse, which recently opened at the Hyatt Regency Jacksonville Riverfront. 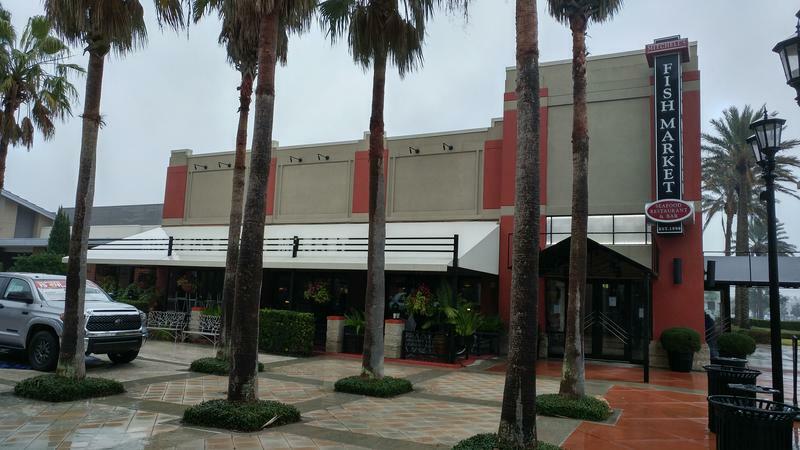 An earlier Morton's at Coastline Drive on the Southbank closed in 2012. The Houston-based company also operates the Chart House on the Southbank and Joe’s Crab Shack in Jacksonville Beach. More than a dozen new restaurants have recently opened near Mitchell's Fish Market, adjacent to the St. Johns Town Center at The Strand at Town Center and the Town Center Promenade. The new restaurants include Chuy’s, Blaze Fast-Fire’d Pizza, Buffalo Wild Wings, Cheddar’s Scratch Kitchen, Firebirds Wood Fired Grill, Red Robin and others. Several restaurants and clubs have come and gone in the area over the past few years. The Original Pancake House shut down at the St. Johns Town Center, later becoming Ovinte, which closed last summer. Whiskey River at the Markets at Town Center closed. The property was later converted into Cooper’s Hawk Winery and Restaurants, which remains open. Across the street, The Suite nightclub closed last spring. The old Suite space is currently being renovated. The Jacksonville Daily Record reports that Palmetto Moon is expected to open a store there by the beginning of April. Palmetto Moon sells clothing, footwear and gifts for men, women and kids and is based in Charleston, S.C. 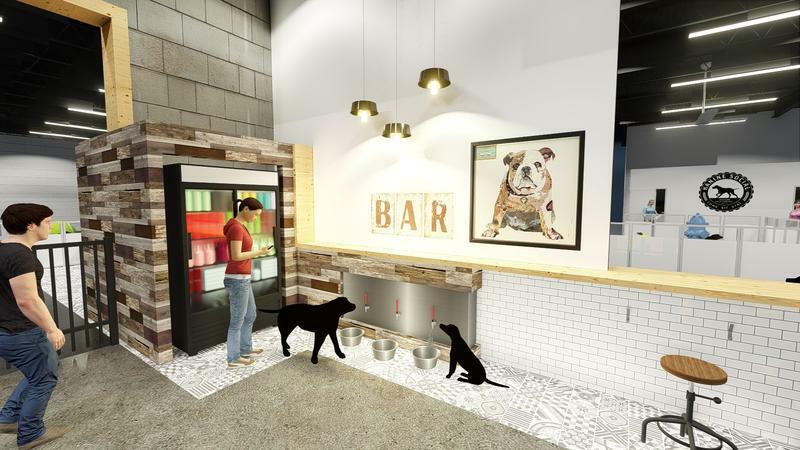 Imagine being able to go out for a craft beer or a hot cup of java with your dog. After nearly four years since the building’s purchase, the Cowford Chophouse is set to open for the general public next week on Thursday. The high-end restaurant promises to be a downtown Jacksonville culinary destination. 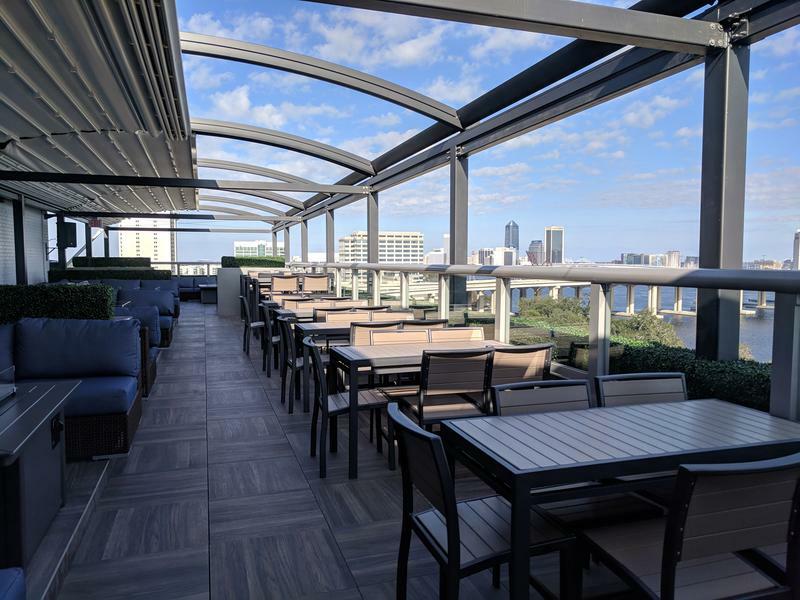 Jacksonville’s latest rooftop bar and restaurant is set to open Monday. 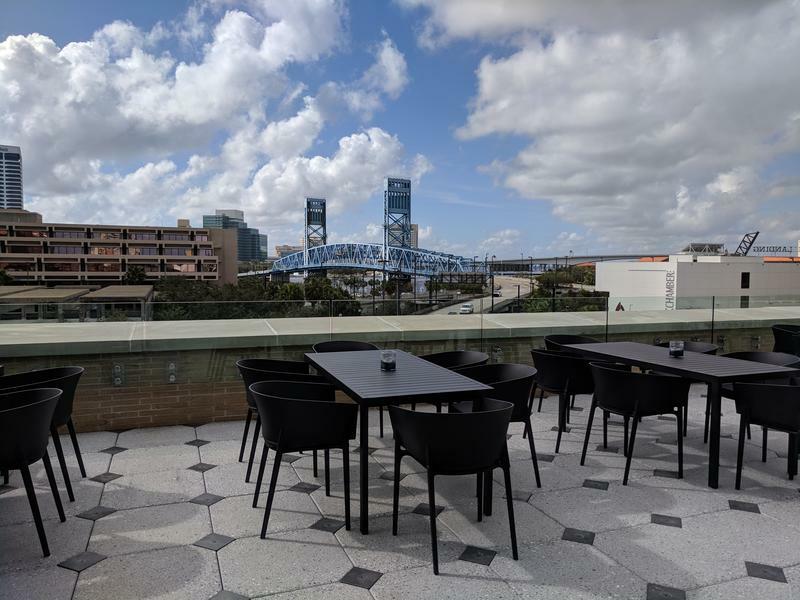 The 450-seat River and Post restaurant is on the corner of Riverside Avenue and Post Street, overlooking the St. Johns River.